A new Seven model has been added to the current generation MINI Hatch range in 5-door or 3-door form, featuring revised exterior and interior treatments. 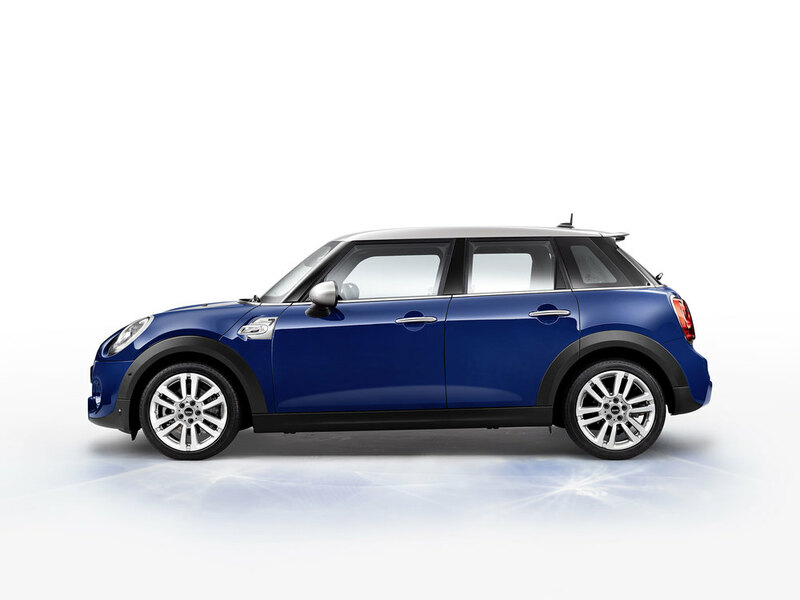 The MINI Seven is recognisable by its MINI Yours body finish which comes as standard in Lapisluxury Blue, but there are also three other body finishes available: Pepper White, Midnight Black and British Racing Green. 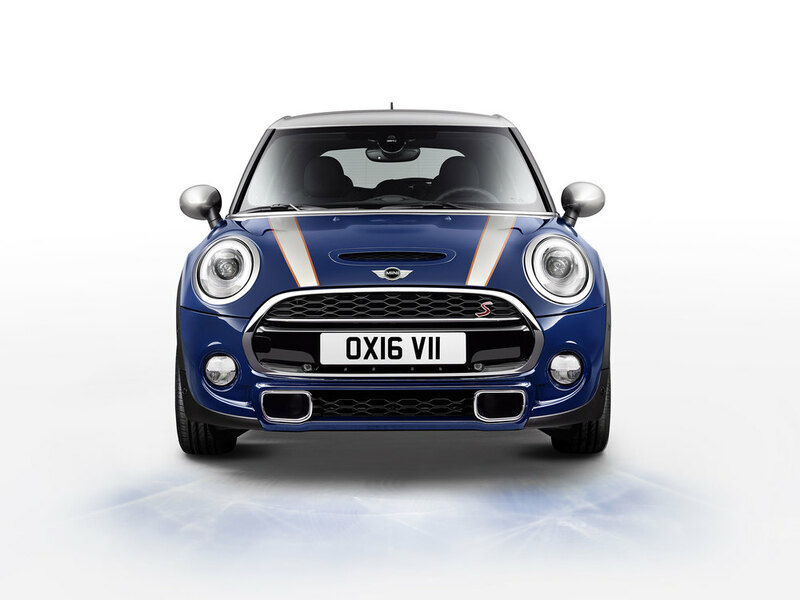 A Melting Silver roof and exterior mirror caps come as standard while MINI Seven door sill finishers and side scuttles with the MINI Seven logo, as well as 17-inch light alloy wheels in exclusive MINI Seven Spoke two-tone design, complete the exterior look. Bonnet stripes in Melting Silver with surround in Malt Brown are also available as an option. a MINI Seven logo on the central instrument which surrounds the 6.5-inch colour display also comes as standard alongside MINI Connected, Bluetooth Handsfree with USB audio, floor mats, MINI Excitement Pack, automatic dual-zone air conditioning and a storage compartment pack. 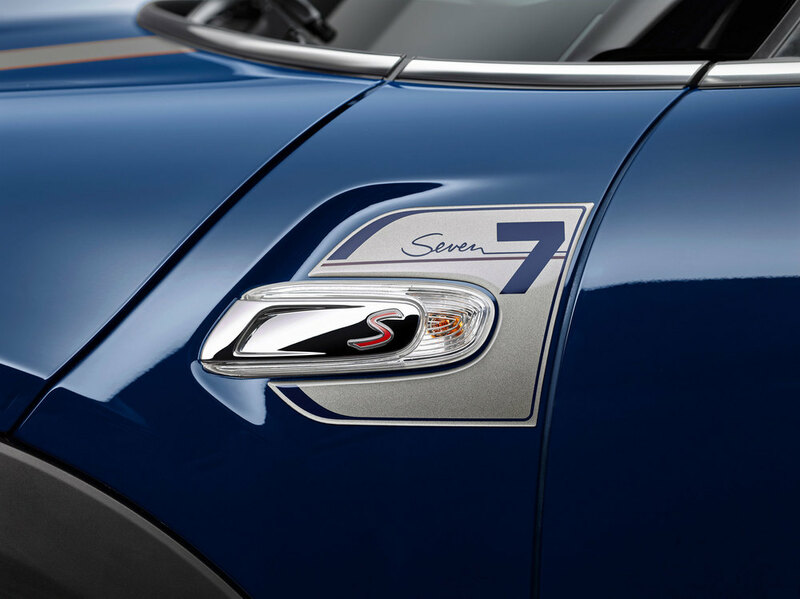 The Seven has its own bespoke option pack, the MINI Seven Chili including features such as the Lounge Leather Upholstery in Carbon Black and the MINI Yours Steering Wheel in Walk Nappa leather with a waxed hand stitched seam. It also comes with LED headlights, multifunction controls for the steering wheel and cruise control with brake function. The MINI Seven will be have its first UK premiere at Goodwood Festival of Speed from 23-26 June with orders being taken now. Prices start from £18,545 OTR.